19. Alice in Wonderland (2010) At its best, Burton’s work can feel like a wonderful amalgam of illustrators Charles Addams, Edward Gorey and Gahan Wilson as filtered through vintage EC Comics and the filmmaker’s own wonderfully warped sensibilities. At its worst, it’s a dull Hot Topic catalog. Welcome to the worst. 18. 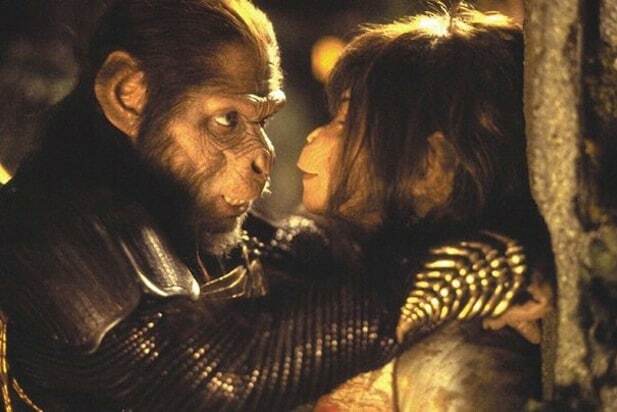 Planet of the Apes (2001) One of those remakes so colossally misguided that one questions whether or not the director had any affection for the source material in the first place; Burton’s interest seems to begin and end with making cool-looking apes. Matching the impact of the original’s ending was impossible, but the climax involving Mark Wahlberg and a much-changed Lincoln Memorial was merely chuckle-inducing. 16. Dark Shadows (2012) Another existing property you would think might fall squarely into Burton's wheelhouse was the gothic soap opera "Dark Shadows," but this, too, ranks among his biggest failures. The attempts at wackiness are strained, and by 2012, audiences were starting to get sick of Johnny Depp playing dress-up. 15. Miss Peregrine's Home for Peculiar Children (2016) Like "Dark Shadows," the creepy YA novel sounds tailor-made for Burton's brand of phantasmagoria, but the results are charmless, simultaneously lacking in characterization and overloaded with exposition. There are some visual shout-outs to earlier, better Burton movies, which you're better off watching instead. 14. Big Fish (2003) As close to serious drama as Burton has yet attempted, this maudlin fantasy follows a son (Billy Crudup) parsing the fact and the fiction from the life of his dying father Albert Finney (Ewan McGregor, giving one of his ouch-iest American accents to date, plays young Finney) . Bloated with whimsy, the movie lived on as a Broadway musical that's become popular in regional productions. 13. "Dumbo" (2019) You would think this live-action remake would have unleashed Burton's imagination, between the physically unusual but poetically talented protagonist to the potentially sinister circus locations, but instead we wind up with another Disney movie about a talented animal and the mean bad guys who want to steal him. Just what we needed: a "Million Dollar Duck" for the new millennium. 12. Mars Attacks! (1996) Before toys and board games became ripe fodder for big-screen adaptations, Burton turned a series of Topps bubble-gum cards into a wildly extravagant homage to vintage flying-saucer movies. It’s more fun to look at the stills than to actually watch the movie, but there are some joys to be found in it, from Jack Nicholson’s apoplectic POTUS to the cinema’s best use to date of the music of Slim Whitman. 11. Big Eyes (2014) Burton’s reunion with screenwriters Scott Alexander and Larry Karaszewski ("Ed Wood") didn’t exactly cause lightning to strike twice, although there’s some lovely period detail (and a powerful performance by Amy Adams) in this salute to kitsch portraitist Margaret Keane (Adams), who spent much of her career cranking out the beloved paintings for which her husband (a scenery-chewing Christoph Waltz) took the credit. 10. Corpse Bride (2005) There’s a certain gloomy charm to this stop-motion animated feature about a nervous groom (voiced by Johnny Depp) who accidentally summons the titular spirit (Helena Bonham-Carter), but as a collaboration between Depp and Laika Studios it pales in comparison to what was (“The Nightmare Before Christmas,” which Burton conceived but didn’t direct) and what would be (“Coraline,” “ParaNorman” and the other later titles from Laika). 9. Sleepy Hollow (1999) This steampunk procedural is second-tier Burton, but it’s a fun little period whodunit, spiced with delectable production design and the chemistry between Johnny Depp and Christina Ricci. Unlike other adaptations where Burton seems to lose the thread, the director (and screenwriter Andrew Kevin Walker) treat the Washington Irving material as a jumping-off point for more Burton-ian interests. 8. Batman (1989) The modern superhero movie starts here, as Burton and famed art director Anton Furst dug into Frank Miller’s "The Dark Knight Returns" graphic novel and gave the big screen a Batman (and a Gotham City) that was on the other end of the universe from the campy 1960s TV iteration. It’s overlong and not always sharply written, but it forever changed the approach to comics-to-film adaptations. 7. Sweeney Todd: The Demon Barber of Fleet Street (2007) Stephen Sondheim’s most homicidal musical found the right big-screen shepherd in Burton, who serves up plenty of grime and grit in his vision of Victorian London but also understands his characters’ drives, be they grand (his barber hero’s thirst for vengeance) or mundane (a baker’s dreams of a house at the seaside). 6. Frankenweenie (2012) At some point, movies stopped scaring children, but even little kids deserve some spine-tingling horror of their own. This feature-length animated version of an early Burton live-action short brilliantly melds together many of his obsessions – suburbia and old monster movies in particular – resulting in fun and fright in equal doses. 5. Edward Scissorhands (1990) The best of Burton’s somber heroes wear the cloak of the misunderstood monster, his frightening appearance belying the tender soul that lurks within. 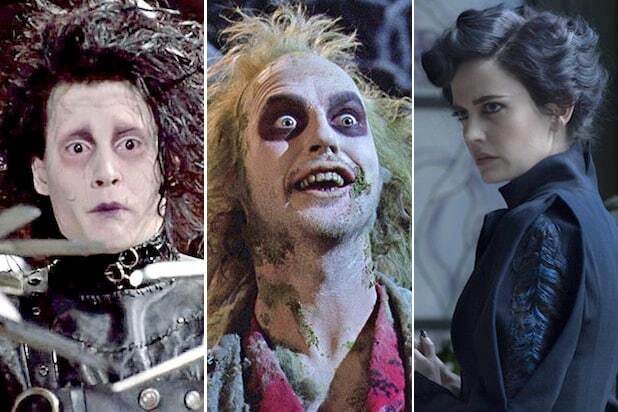 Arguably his greatest is poor Edward, who wants only to love and to create beauty, but who will always be an outcast because of those damn scissorhands. 4. Batman Returns (1992) The box-office triumph of the first "Batman" allowed Burton to dig deeper into his own vision, and the result is a one-of-a-kind freak show (written by Daniel Waters from a story by Waters and Sam Hamm) that pits the Dark Knight against the grotesque Penguin (Danny DeVito) and the slinky Catwoman (Michelle Pfeiffer) in a snowy, Christmastime Gotham City that appears to have been designed by Dr. Caligari and a crew of German expressionists. 3. Beetlejuice (1988) Before donning Batman’s cowl (and Bruce Wayne’s dressing gown), Michael Keaton played the wonderfully unhinged title character in Burton’s rollicking farce about kind-hearted ghosts (Alec Baldwin and Geena Davis) who haunt their own house when awful yuppies turn it into a 1980s eyesore. Winona Ryder, channeling Bud Cort in "Harold and Maude," instantly became a Goth-girl pinup for a generation. 2. Pee-Wee's Big Adventure (1985) One of the great picaresque road movies in cinema history, this tale of Pee-wee Herman (Paul Reubens) and his quest to recover his stolen bike marked Burton’s feature debut, yet it established so much of what he would do best in film, from spotlighting an outsider hero who lives by his own rules to the director’s singular mix of kitsch, horror, animation and jubilant weirdness. 1. Ed Wood (1994) Writers Larry Karaszewski and Scott Alexander ("The People vs. Larry Flynt," "American Crime Story: The People vs. O.J. Simpson") have established themselves as the masters of telling the story of America through the eyes of its oddballs, and their sensibility blended perfectly with Burton’s, who clearly saw a lot of himself in this story of a singular, devoted artist with a love of old monster movies and a drive to tell his stories. It’s one of the greatest movies about Hollywood, about risk, about determination, about art, ever made.